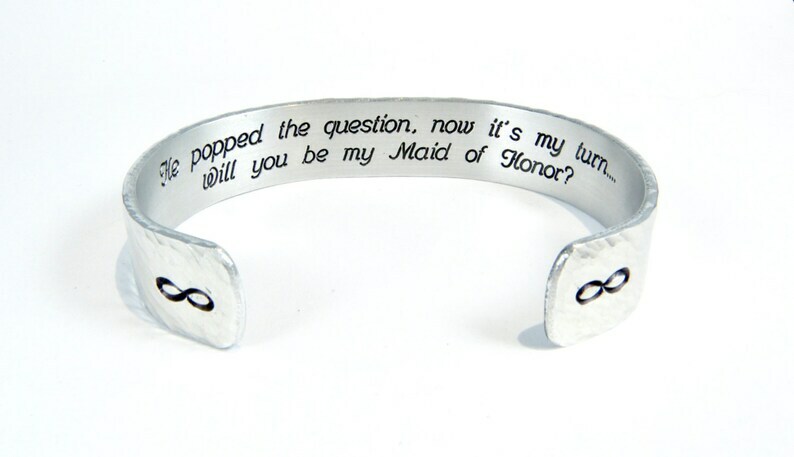 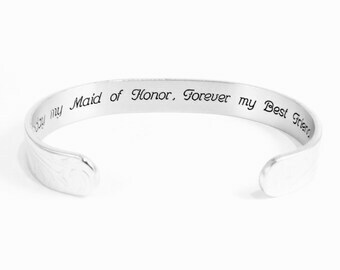 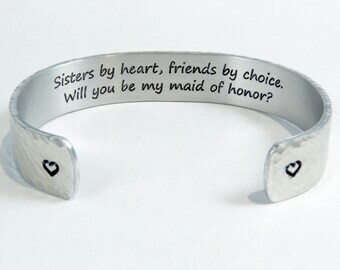 ( ~Maid of Honor can be changed to Matron of Honor or Bridesmaid). 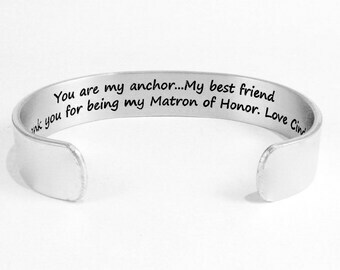 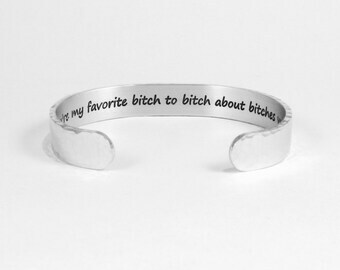 Bridesmaid / Maid or Matron of Honor Personalized Cuff - You are my anchor...My best friend Thank you for being my Matron of Honor. 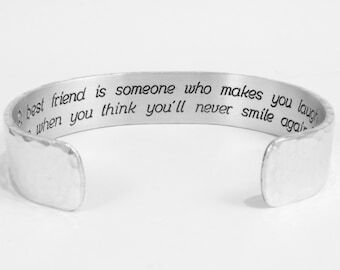 Love, ..